No, I am not writing about a house in Singapore. Contrary to Hindi where makan means a house, 'Makan' in Malay, one of the four main languages spoken in Singapore, means 'Eating'! 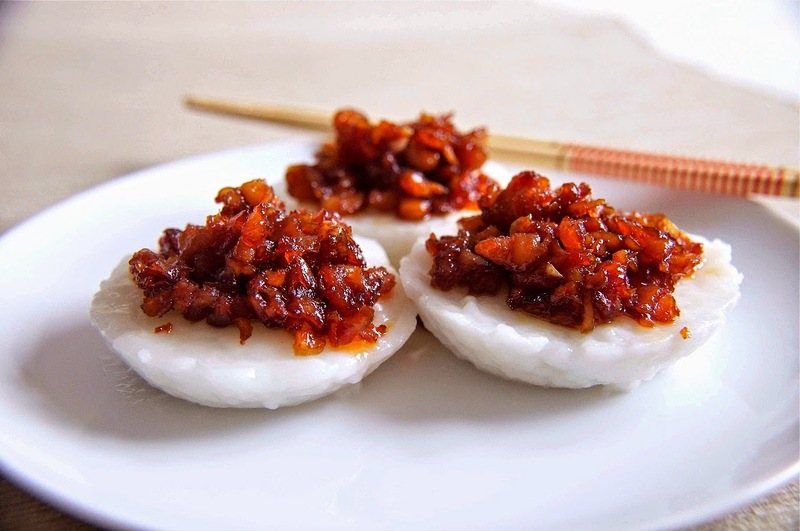 Food is like a national obsession in Singapore and 'makan' is considered a national pastime. The country is like a melting pot of cuisines - a really yummy melting pot of food influenced from the neighboring Malaysia, Indonesia, China and India. Tourists still call this city-state a Shopping Paradise - a place where you can shop till you drop. But merge with the locals to indulge in their favourite pastime and you'll end up calling Singapore a "Foodie Haven" instead. When asked to choose one particular dish, I may not be able to single out a favorite; but I can take you on a food tour across the city and guide you through three meals of the day - breakfast, lunch and dinner, while showing you around some interesting locations of Singapore. I love breakfasts and I can eat breakfast all day. And I love eggs. Add eggs in my breakfast and I'll do a harlem shake for you. And so, we start our day with an excellent breakfast at Tong Ah Eating House, one of the best coffee shops in Singapore. If you are familiar with Singaporean food, you know it even before I spell - Kaya Toast, the same bread-butter-egg with a twist. 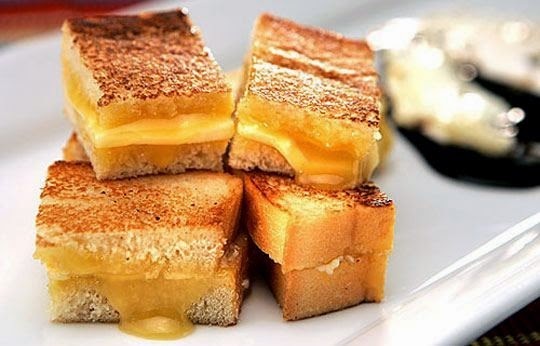 It is a toasted pair of bread, smeared with coconut or egg kaya and sandwiching a thick slice of butter that slowly melts within the two warm slices. For an egg lover like me, this is a simple yet perfect breakfast. A kaya toast normally has soft boiled eggs, but I prefer mine boiled for few more minutes so that it's not too runny. Oh, don't get up yet. We are not done here! I won't be satisfied until I take a sip off my kopi (coffee) and a bite of Chwee Kueh - a slightly sweet, slightly savory steamed rice flour cake. 'Breakfast like a King' remember? Well, Queen in this case. Whichever part of the world you are in, it's the time of the day when most of us look forward to some feasting. After exploring Chinatown and the Far East Square, for lunch we head to the Victorian style Lau Pa Sat and order Laksa and a plate of Hainanese Chicken Rice. Laksa belongs to the Peranakan culture, a mix of Chinese and Malay. 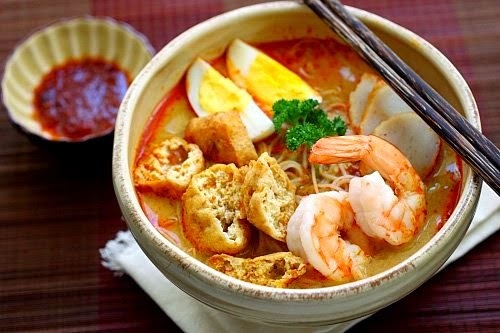 A traditional Singaporean Curry Laksa is prepared with vermicelli, coconut milk, fried tofu puffs, fish, shrimps and eggs. 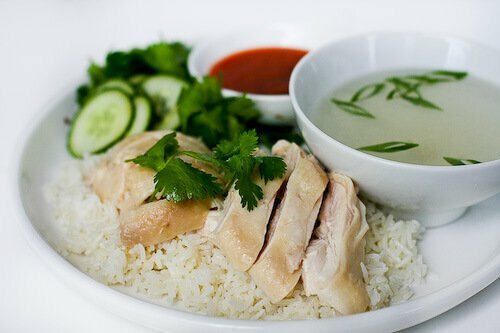 It is oh-so-delicious that you would want to order another bowl of it, if only there was not another item on the table - the Hainanese Chicken Rice. Chicken and Rice - whoever thought of this combo needs a pat on her back (it was definitely a woman). Whether the preparation is a biriyani or fried rice or stroganoff or Hainanese Chicken Rice, this excellent combination never fails. In Singapore, the dish is served as boiled or roasted chicken on top of fragrant flavorful rice, sprinkled with chopped ginger and accompanied with cucumber or vegetables on the side. Filled with Laksa and Chicken Rice, I know your eyes are drooping. Time to head to the riverfront for a chilled out evening. After an evening of stroll from Robertson Quay to the Fullerton hotel, we choose an alfresco restaurant at Boat Quay for dinner and order Satay with some beer. 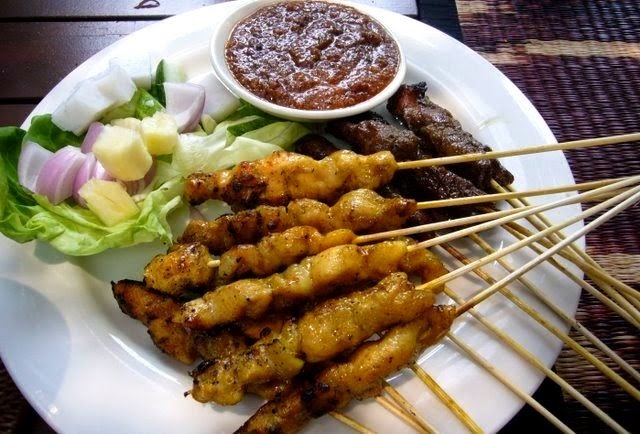 Satay reminds me of our Lucknowi kebabs on the skewers. But that's where the similarities end. The soy sauce and turmeric marinade and the peanut dip makes it different from a kebab or a barbecued meat. Served with onions, cucumber and rice cake, it is a finger-licking choice for a dinner, enjoyed best with chilled beer. Post dinner, we walk to the spectacularly lit Gardens by the Bay, while discussing the day's gastronomical exploits. 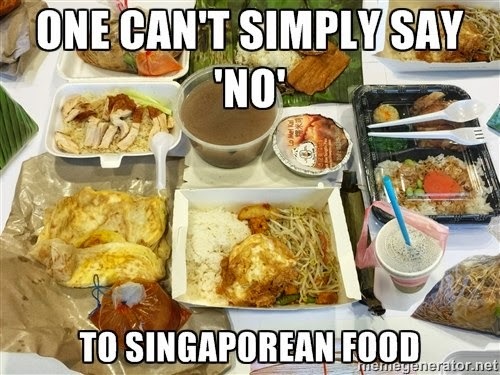 There are so many varieties of Singapore food, that it is just not possible to taste all in a single day. May be we can try Chilli Crab, Nasi Lemak, Carrot Cake and some Oyster Omelettes tomorrow. This post has been written for the contest "Takeaway Level - Singapore". You can check more about Singapore Cuisine here. Breathe. Travel. Live. That's my Mantra. A traveler with all my heart, I break free, whenever I can - to travel. I have known no other greater love in my life.